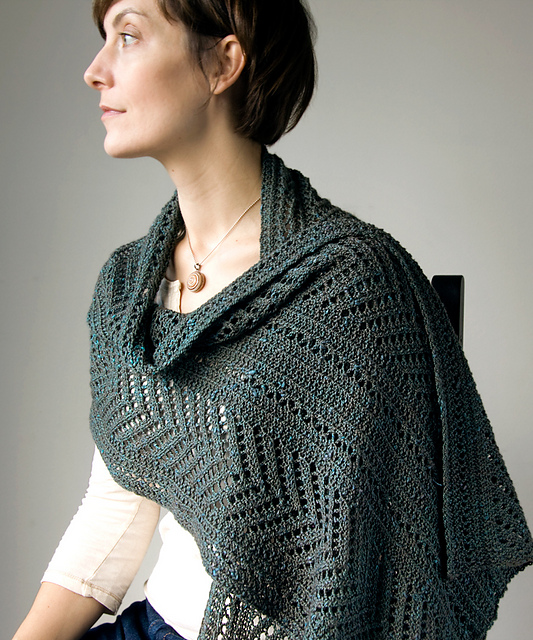 Herringbone lace followed by columns of lace rib & garter stitch give the Boiseau Wrap by Megan Goodacre a refined elegance. 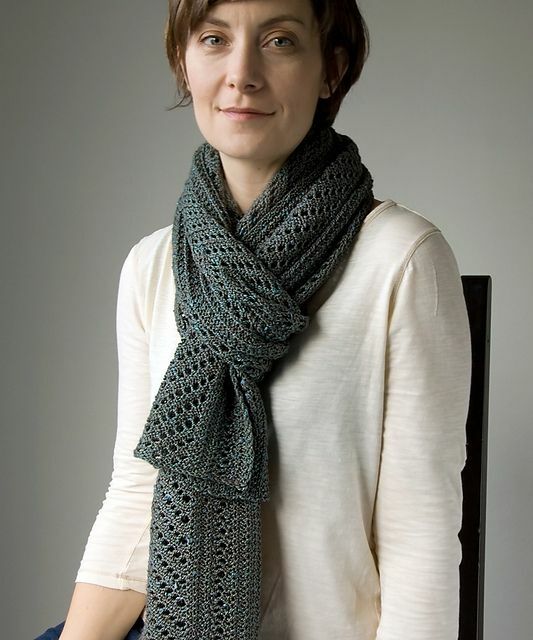 The scarf/wrap really shows off the nubby goodness of DK weight Acadia by the Fibre Company. 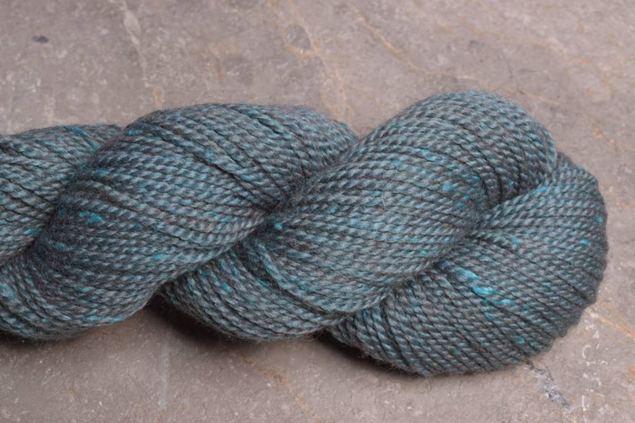 Spun with 60% Merino Wool, 20% Silk Noil, & 20% Baby Alpaca this luxe yarn is a must try for knitters. The pattern is rated easy intermediate, knit on US 8, 24” circular needles. The pattern is both written & charted. Stitches in the pattern include K2Tog, K3Tog, SSK (slip-slip-knit), & TBL (knit through the back loop).